That Happened | Are You Zhazha? There’s a weekend in February I cherish. It’s filled with family, friends and frolic in a city that has my heart. 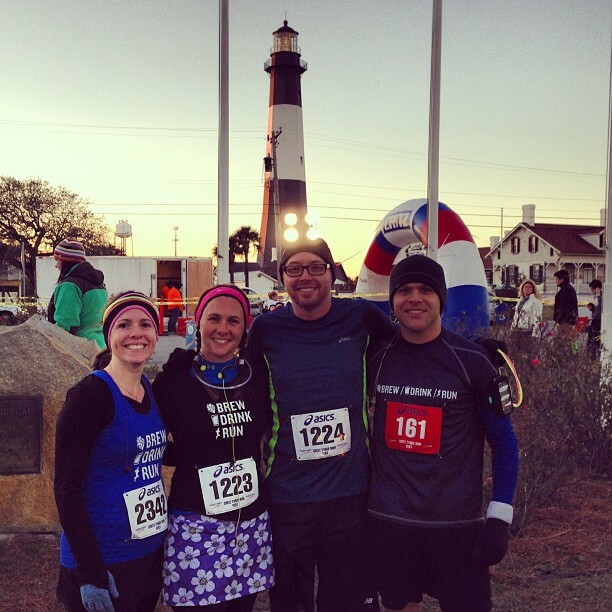 It all started last year when we traveled to Savannah to participate in the Tybee Run Fest. The complete fest is five races. A 5K on Friday and then a 10K, Half Marathon, 2.8 Beach Run and Mile Run on Saturday. If you run all five events, you run a marathon. Andrew did that last year – and although he declared he would not do that again – he did. He was really ready for it this year though. 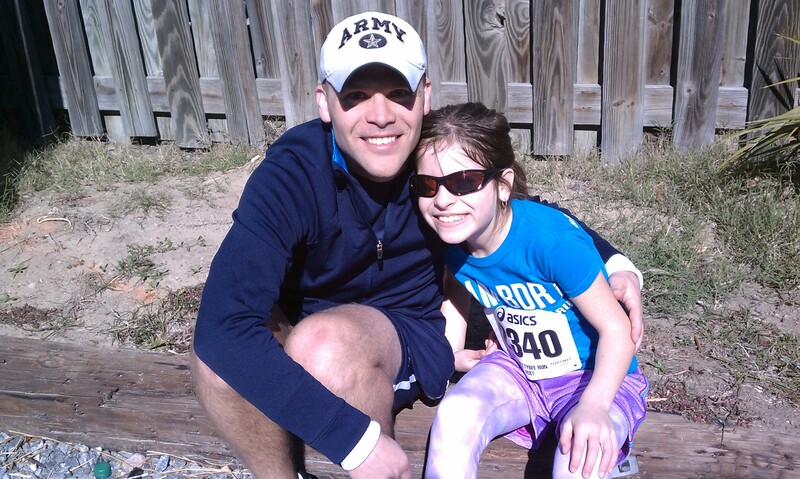 He’s been on his run streak for almost a year and trained for two marathons during that time. 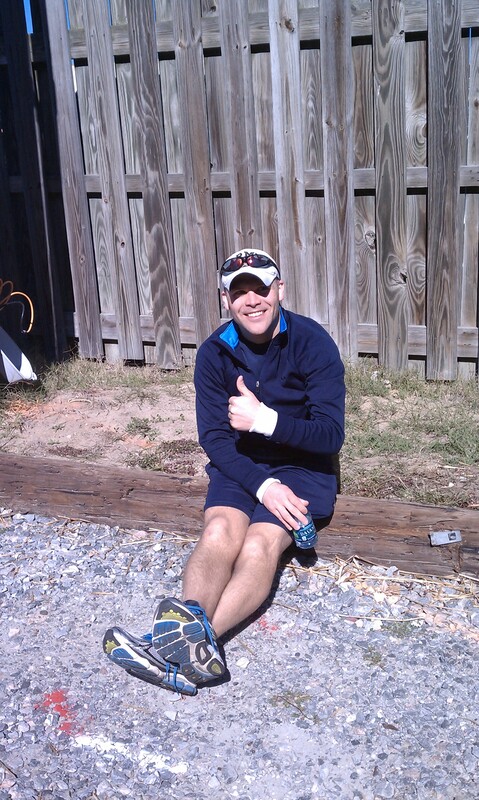 Last year, he finished the Tybee Run Fest races and crashed. This year, he finished the races and danced. 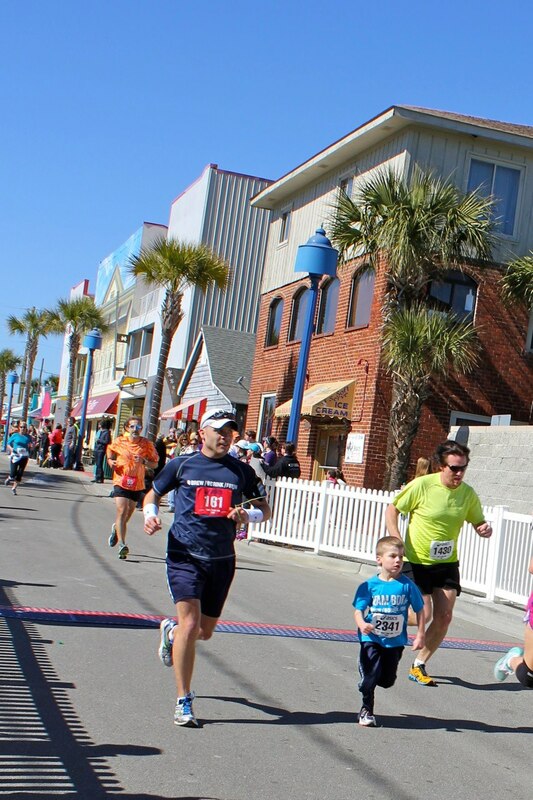 This 5K was special to me. 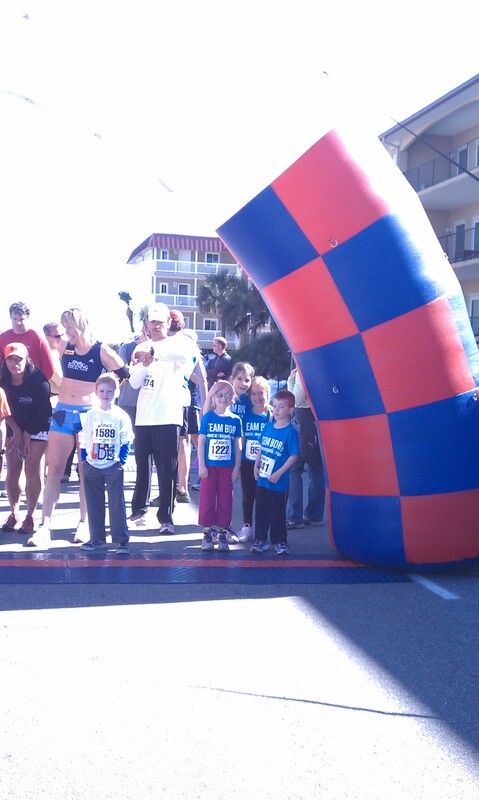 When I ran it in 2012, it was the first 5K I ever trained for and I wanted my past year of running to show improvement. 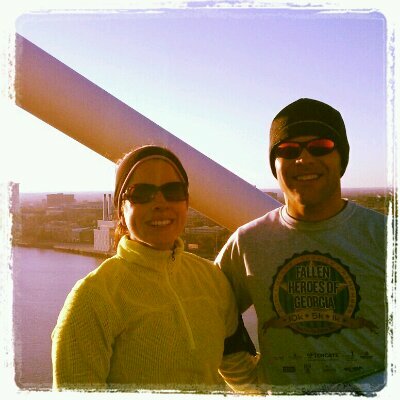 I’m happy to share that it not only meant a better time for me (from 34:45 to 28:36) and the first time I ever ran 3 miles in under 30 minutes, but it also meant personal records for Ginger, Lee and Andrew. Team Brew/Drink/Run doesn’t mess. (And of course we enjoyed some beer after the race.) It was awesome. I still can’t believe my average was a 9:14 per mile. That’s crazy right there. I even felt so strong when I finished. 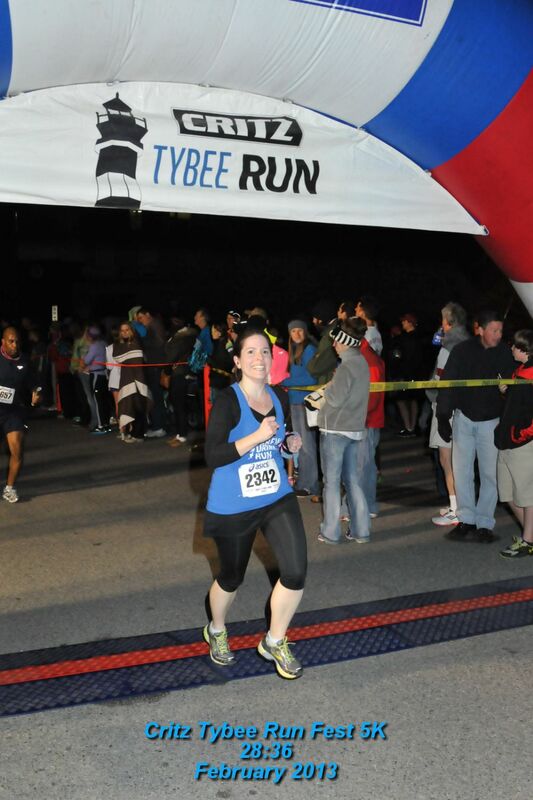 My finish line photo shows me smiling and pumped. It cracks me up. I’m such a poser. The kids also enjoyed some racing fun during the Fest. Team BDR Jr. (Camille, Ellanor, Nia and Nate) took on the mile run independently. They each earned a medal and were so proud of how they ran. Andrew and Nate got to finish together in that one because they were on pace with each other. I love that. This visit also meant another unbelievable first for me as Andrew, Ginger and I ran high above the Savannah River and across one of the most intimidating bridges I’ve ever experienced. 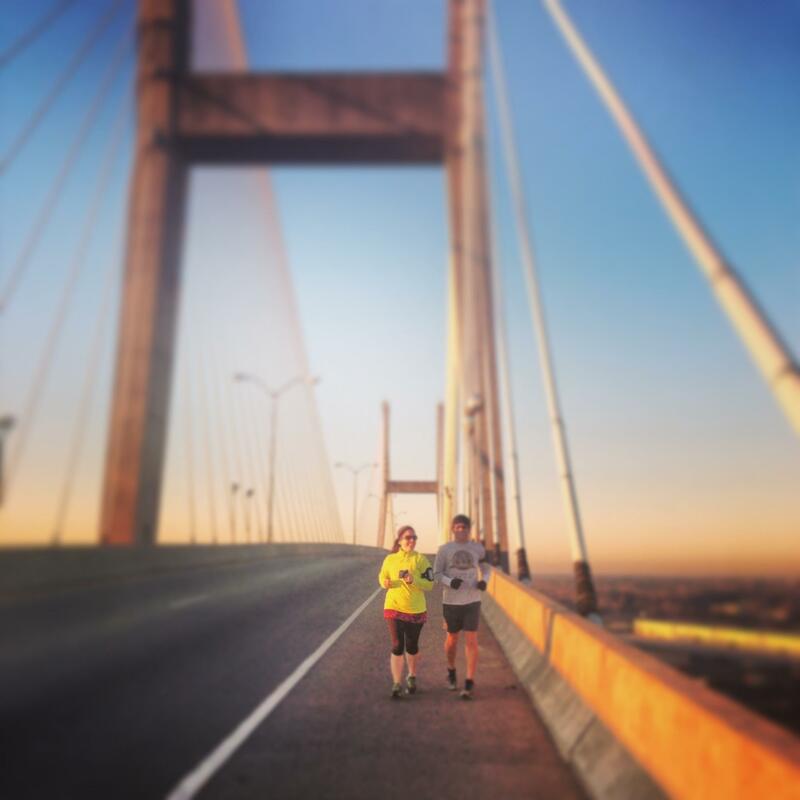 The Talmadge Bridge is a sight to behold. 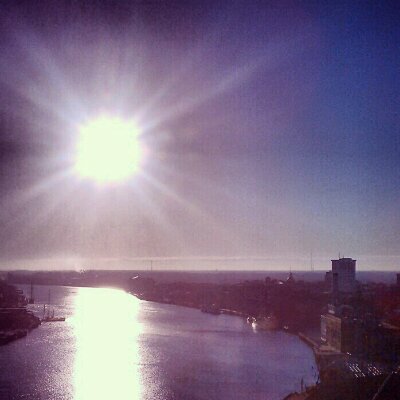 Andrew and I used to sit on River Street and marvel at it as giant barges stacked with 18-wheeler trailers passed underneath it. The bridge has been the backdrop of many of our family photos. One photo of it even hangs in a matte showcase in our house from a July 4th night of fireworks on the river. I never would’ve thought that I would RUN across the thing. It was incredible and I’m so glad Ginger suggested we use it for our Sunday run route. I still can’t believe that all happened.